5mg of CBD Hemp Extract in each mint. with "Super Fresh" peppermint flavor. NO bitter "CBD oil taste"
Microdose on-the-go with our “Super Fresh” minty CBD Mints. Get fresh breath with a microdose of CBD. "I Love this idea of a nice and discreet mint!" - Dawn M.
Do you want a fast and effective way to calm down or relax in stressful situations? 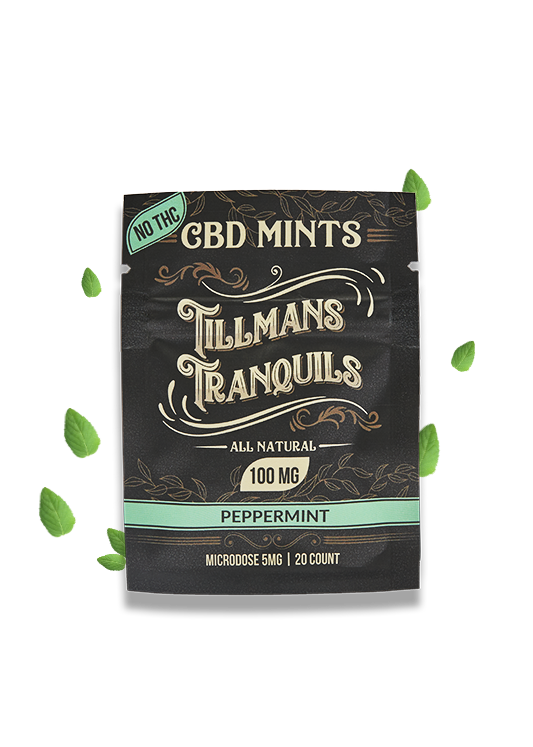 If so, the Tillman Tranquils single pack of CBD mints is a great solution! 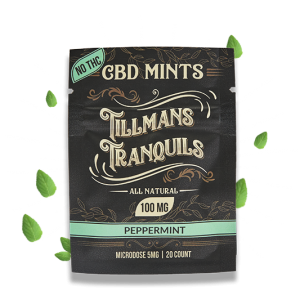 Each mint contains five milligrams of hemp-derived CBD extract with no THC. You get 20 mints in this single pack. This is the perfect amount for a single person. They’re convenient and discreet enough to put in your purse or pocket and take anywhere. 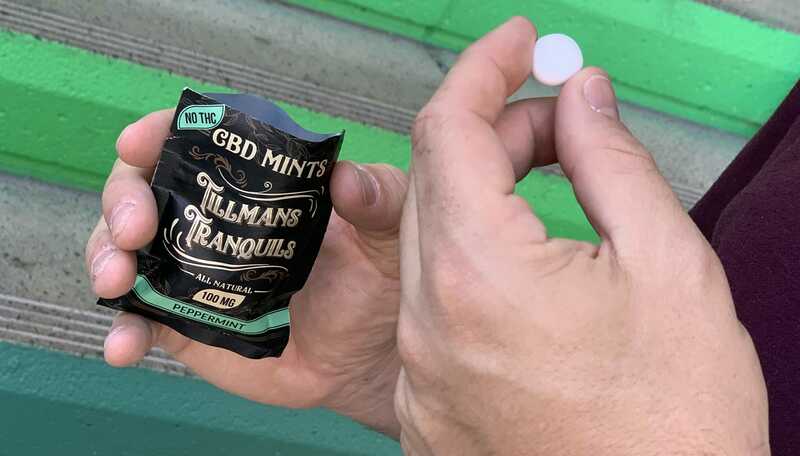 The mints have a tantalizing “super fresh” peppermint taste and aroma, and there’s a pan coating on each mint to protect the CBD hemp extract from heat, light, and humidity. You can take a mint at any time during the day for micro doses that will keep you feeling calm and relaxed all day. There are no artificial ingredients or high fructose corn syrup. They’re made in the USA and vegan certified.